The required fields are incorrect or incomplete; careful attention should be paid not to confuse letters and numbers with similar appearances, such as the letter ‘I’ and the number ‘1’, or ‘O’ and ‘0’. a PLO56 visa evidence card. 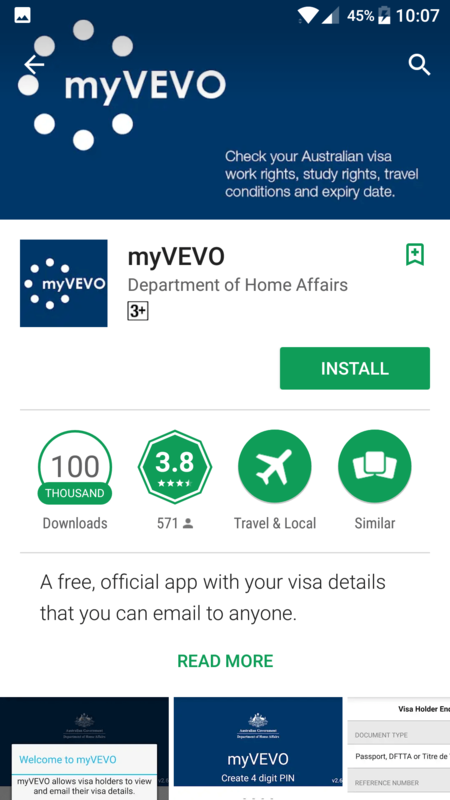 You can download the Department’s official free application myVEVO via your Apple or Android application store. Once you launch the application, you will greeted with a message asking you to setup a unique PIN. This PIN must be entered each time myVEVO is accessed. However, you can still use myVEVO and access your visa details even if you forget your PIN. If this occurs, then your personal details will/can be cleared from your phone by entering the PIN incorrectly three times. 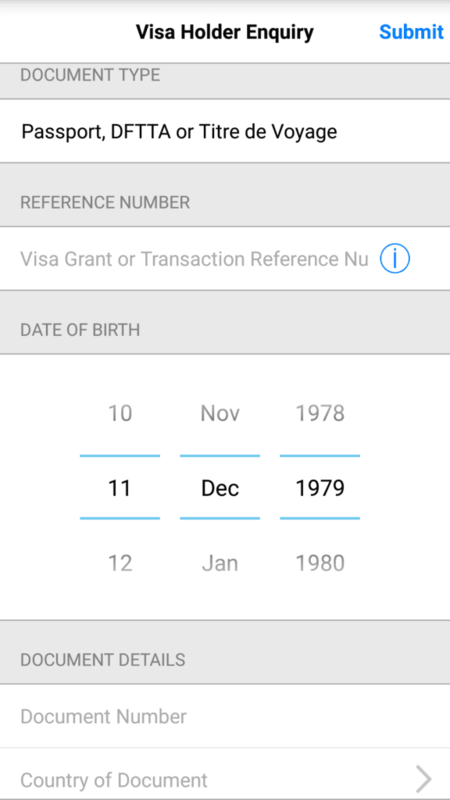 You will then need to set a new PIN (like with the setting of your first PIN) and enter your identification details again to perform a VEVO query and check your visa checks. 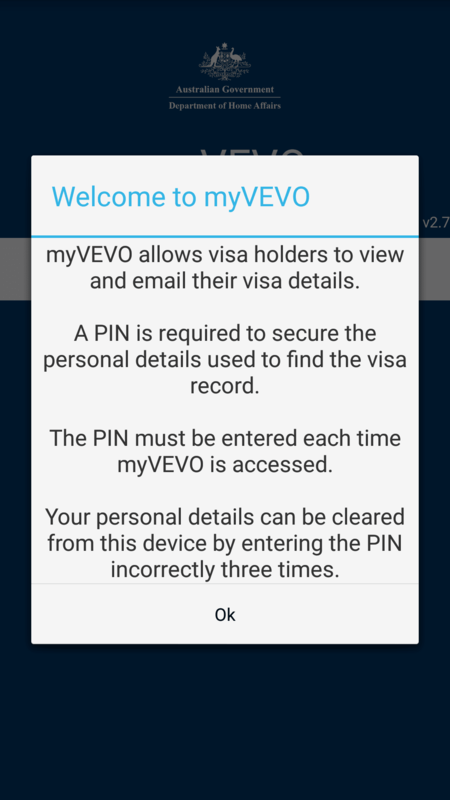 Hence, forgetting your PIN/entering this incorrectly does not permanently disable or lock you out of the myVEVO application and service. 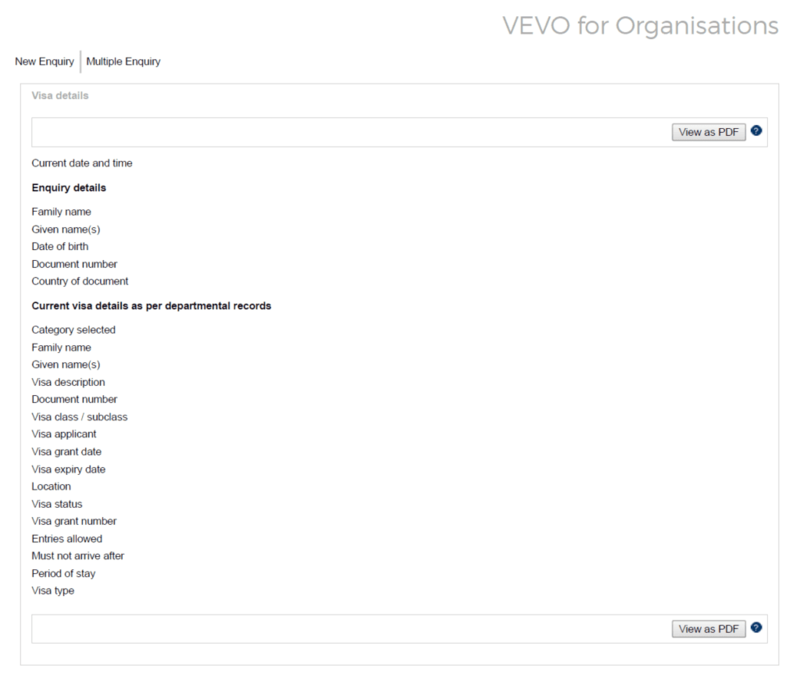 Am I able to still use VEVO to get my status even if my Residence Return Visa has expired? No, nothing will come up if your visa has expired.